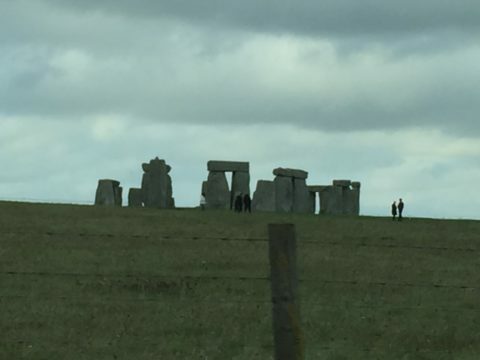 Drove right past this last month on my way from Heathrow to Exeter! Bombed out Cathedral in Coventry. As my guide informed me, the Germans bombed the hell out of Coventry during World War 11. This is what’s left of a beautiful canthedral. Comments Off on Bombed out Cathedral in Coventry. What once was a courthouse, where they imprisoned, tortured and hung prisoners, now turned into a pub. Creepy, but beautiful, and certainly fodder for juicy conversation. The lovely Paul Ballard was generous enough to show me around Coventry on St. Patrick’s Day. 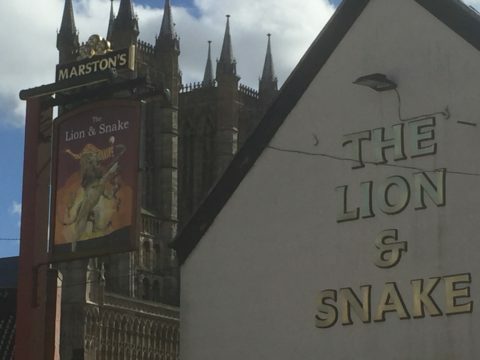 Comments Off on Favorite pub in Lincoln!